Motor Yacht ANNABEL II is a 2009 Horizon 97ft luxury motor yacht. She features an intelligent design and layout with plenty of space inside and out. 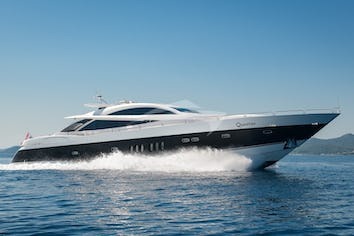 ANNABEL II boasts contemporary European styling and performance as well as lovely woodwork and craftsmanship throughout. This wide body version of the 97 RPH has four large cabins with ensuite bathrooms, a country style kitchen and galley, and a beautiful formal dining area. 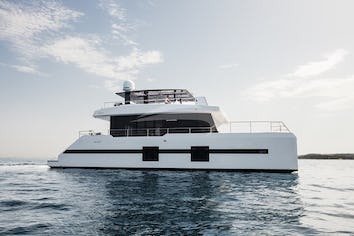 ANNABEL boasts the latest Bose surround sound and entertainment systems thought, an extended swim platform, a deck Jacuzzi and zero speed stabilizers. 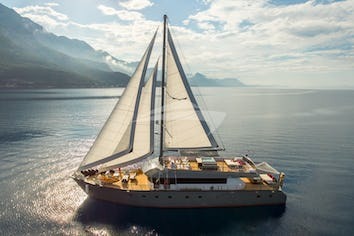 ANNABEL II can accommodate 10 guests in 4 cabins. The Master cabin has a king size bed, shower and toilet. 2 Twin cabins have 2 single beds, a pullman, shower and toilet. A VIP cabin has a queen size bed, shower and toilet. ANNABEL II is fully air conditioned through out. Crew has a separate heads and shower.